The Hepatology Unit in EMC is the best specialist facility in Kochi for the diagnosis, treatment and prevention of digestive tract and liver disorders. 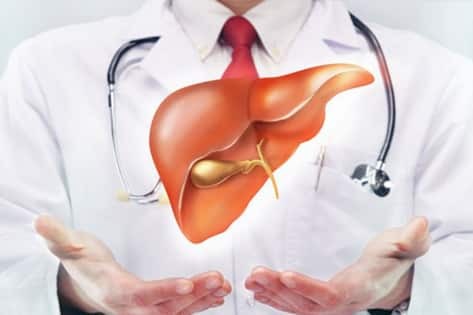 Hepatology, considered as a sub-speciality of gastroenterology is the branch of medicine that incorporates the study of liver, gallbladder, biliary tree, and pancreas as well as management of their disorders. The Gastroenterology & Liver unit in EMC is one of the top ranking facilities in Kochi, that provides excellent evidence based comprehensive treatment and care for acute conditions of the digestive system that affect the biliary system that includes liver, pancreas, gall bladder and bile ducts. Functioning under the joint aegis of EMC & CGG (Cochin Gastroenterology Group managed by Dr. Philip Augustine Associates), the newly commissioned unit in the hospital has top class clinical and surgical facilities for the treatment of a wide range of gastrointestinal and hepatological conditions in all age groups.